I'm sure you're excited for Mother's day. It's that one special day where mothers are remembered, loved a hundred times over, and of course pampered twice as usual (think a day at David's Salon). 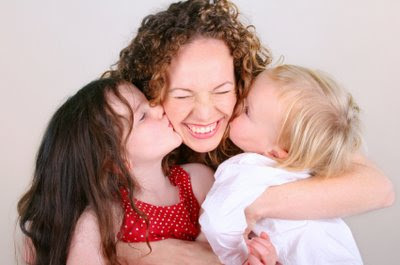 We especially love this day because it's an opportunity to make our own moms feel special. We want to let them know just how loving, selfless, and beautiful they are, so we do our best to make them twice as happy on Mother's Day. But wait, do you have the budget for your planned surprise? Are you quite tight on cash right now that you can't celebrate Mother's day the way you wanted to? If not, don't worry. There are still plenty of budget-friendly ways to celebrate Mother's Day, and all you gotta do is to improvise them to suit your needs and current situation. Have a picnic or outing at a local park or garden. If your backyard's wide enough to hold the family, why not? I'm sure you (or your mom) would love to go on a picnic or family outing, especially since the family can spend quality time with one another. You can, of course, improvise this idea with what's available if there aren't any good parks or gardens nearby. Cook something special. There may be a lot of restaurants ready to serve their Mother's Day specials, but nothing beats a hot homecooked meal made by Mother. Let Mother's day be a day where you can experiment and try different recipes to serve on the table. You can also cook special meals for your mom, who may need a day off from years of cooking for the family. Play a family board game. After dinner, when everyone's full and the dishes put away, why not set up the the board games for the family to play? Twister, the Game of Life, and many other possible games are great choices for family fun nights, plus you can improvise by having a prize ready for the winner. Bottom line is that you don't need the help of the cinemas or cable TV to have a good time. Create something out of your favorite hobby. If you're out of Mother's Day gift ideas, you can always try making one of your own using your favorite hobbies or talents. If you're good with arts and crafts, you can use that to create a special and unique Mother's Day gift for your mom. If you're more of a writer or video editor, you can create a poem or a special home video about your mom. Do everything you can to let your mother know how much you love her. Sometimes, all a mother needs to feel appreciated is a sweet and vocal sign that her family loves her. You may not have spent much time with your mom because you've been very busy with your own responsibilities, so try to take some time off on Mother's Day to let her know how much you love and care for her. Moms don't need material things to feel happy and loved on Mother's Day. You can offer her a simple gift and an "I love you", and she'll be happy and content for the rest of the day. So take this time to think about what your mom would love for Mother's Day, and do it. Set up the picnic basket or pop in her favorite movie into the DVD player if you think she'll like that. Just don't forget to let her know that she's the best person in the world, and that you love her very much. Stef Gonzaga is a 20-year old mom, a freelance writer, an online shopper, and a tech maniac. Read about her life at The Steffi G. Blog, learn everything you need to know about freelancing at The Freelance Pinoy, or connect with her via Twitter @alexis0fdreams.